On behalf of Ted B. Lyon posted in Wrongful Death on Tuesday, May 30, 2017. On behalf of Ted B. Lyon posted in Brain Injuries on Tuesday, May 30, 2017. On behalf of Ted B. Lyon posted in Wrongful Death on Monday, May 29, 2017. On behalf of Ted B. Lyon posted in Products Liability on Thursday, May 25, 2017. On behalf of Ted B. Lyon posted in Brain Injuries on Thursday, May 18, 2017. On behalf of Ted B. Lyon posted in Products Liability on Thursday, May 11, 2017. 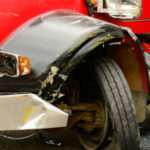 On behalf of Ted B. Lyon posted in Truck Accidents, Trucking Industry on Tuesday, May 9, 2017. On behalf of Ted B. Lyon posted in Car Accidents on Friday, May 5, 2017.